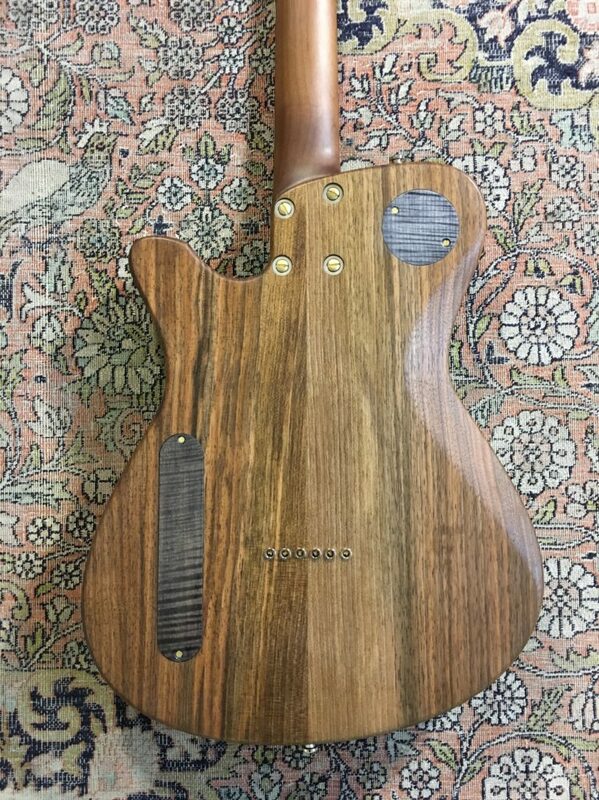 The luthier Tony Girault continues to develop his range of guitar around his form Origin with a new classy model. 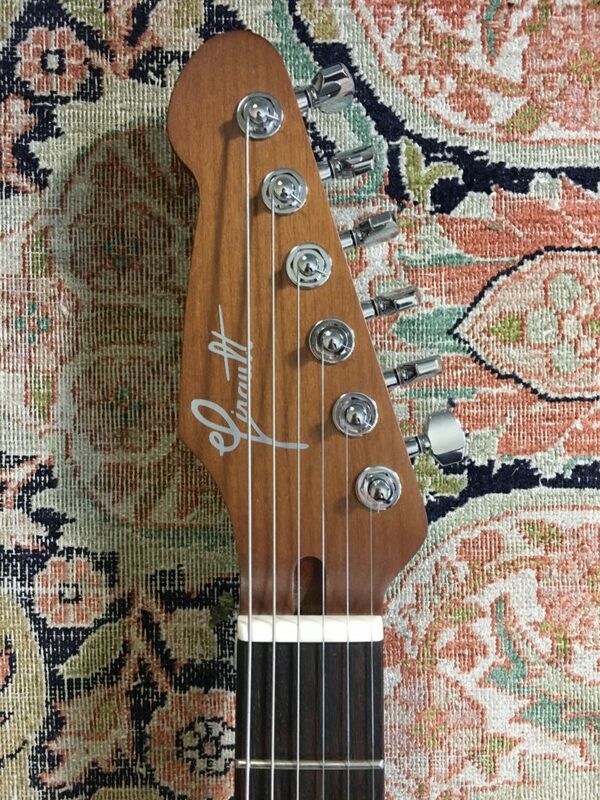 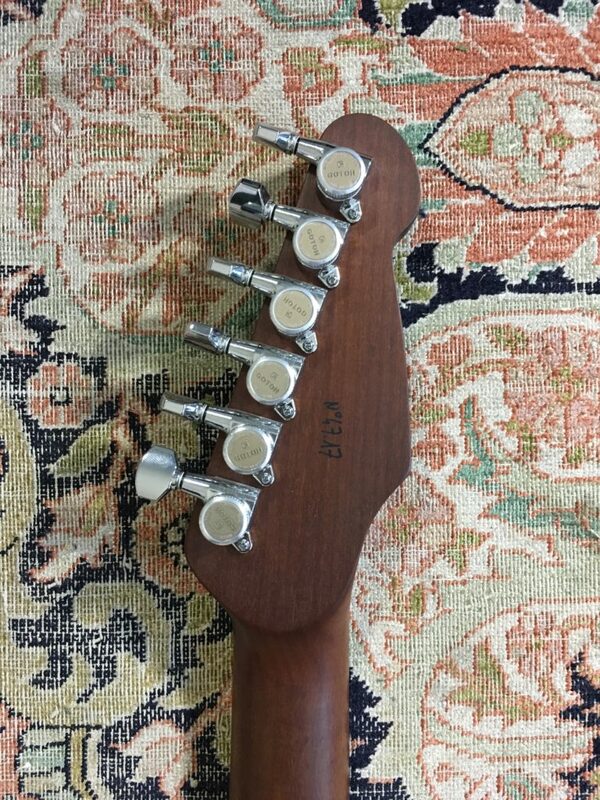 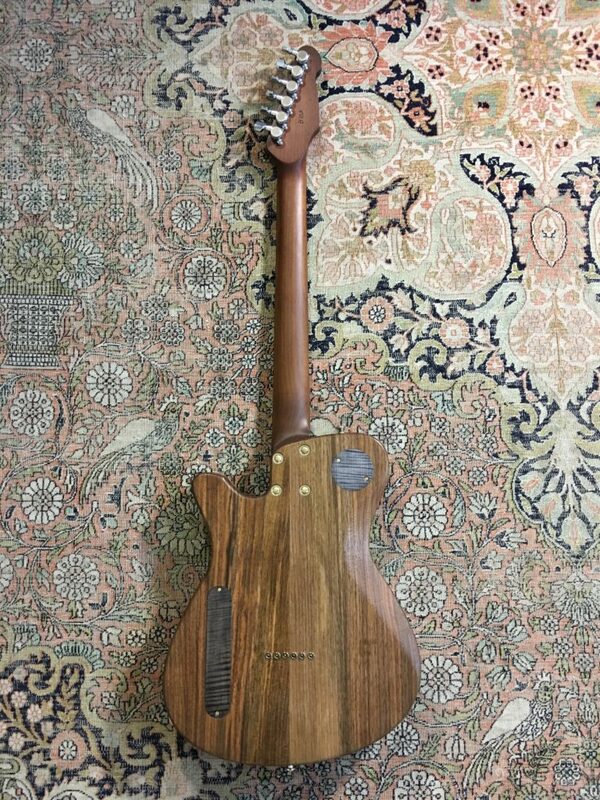 See for yourself: we have a beautiful flamed maple top, a beautiful walnut body and a roasted maple neck. 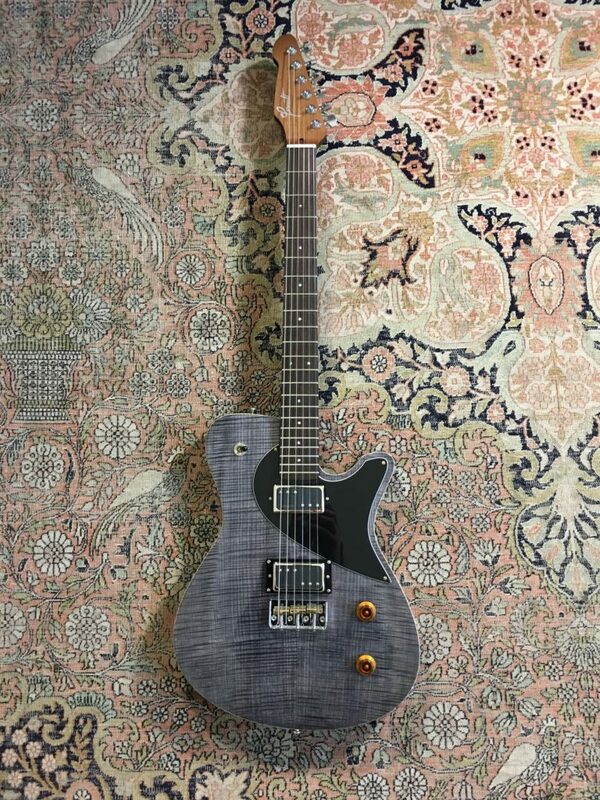 Plus this instrument features the all-new P90 hum-canceling pickups from Tony's design. 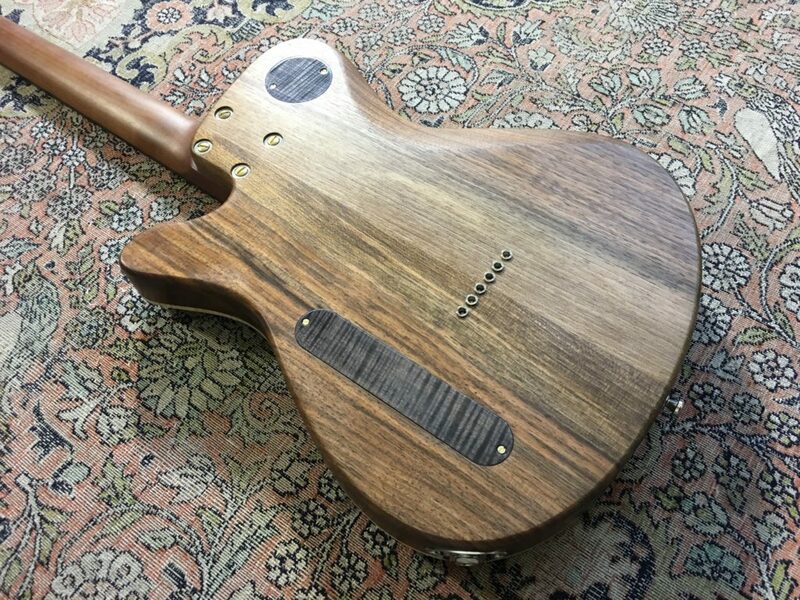 The luthier Tony Girault offers here a more sophisticated version of his usual guitars. 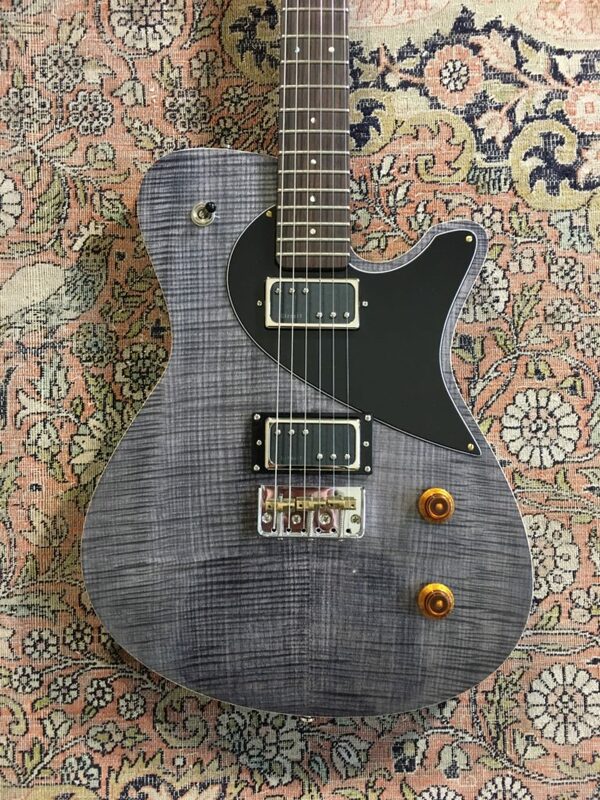 Everything is excellent as on the other instruments offered by the luthier from Evreux but with all the options that give the instrument a unique class (flamed maple top, roasted maple neck, etc.). 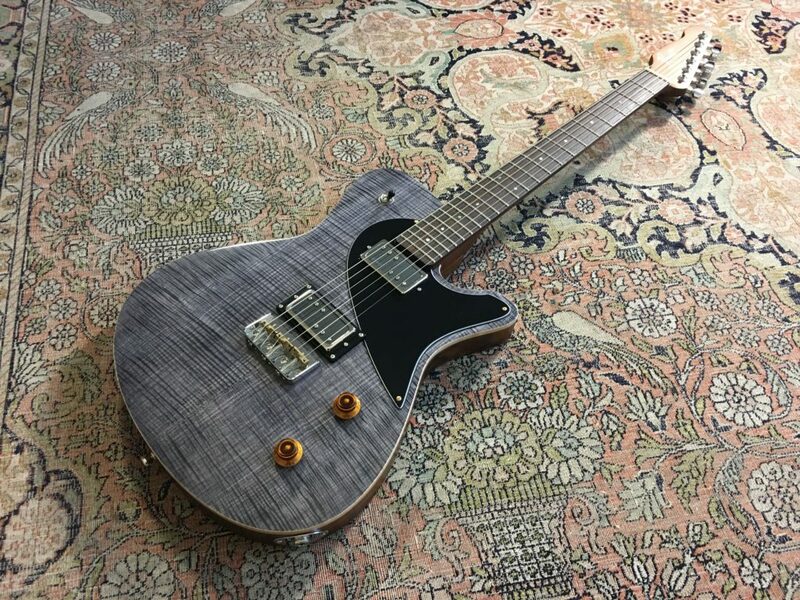 At 2450 € TTC, we remain in a very reasonable price range for this quality of instrument. 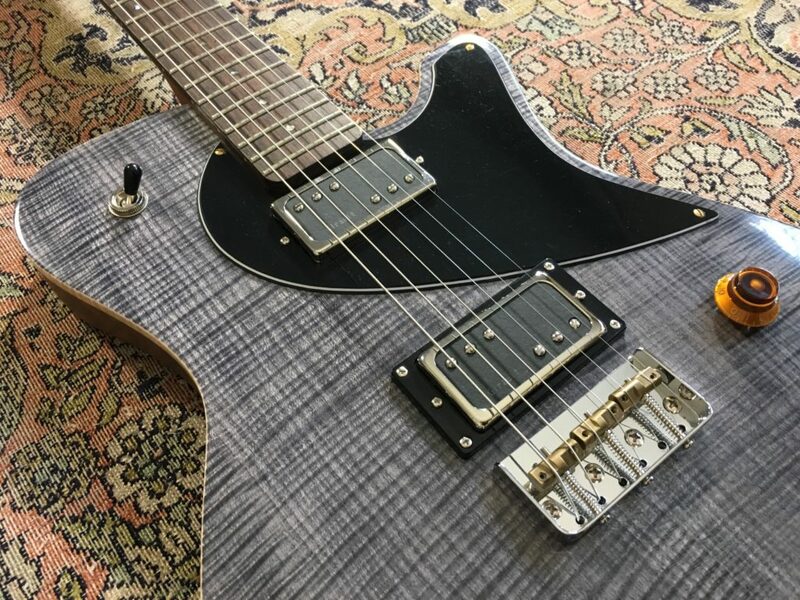 If you like the sound of P90 pickups but have always been hampered by the parasites inherent from their single coil type design, Tony offers with his pickups an alternative that sounds great.